To promote the participation in Martial Arts in a safe environment. To regulate the quality of instruction provided to Members. To provide recognised grades and qualifications to all Members and black belts. To strengthen the bonds between the Association and other clubs/associations working for similar purposes. To support and organise various Martial Arts events from time to time. To apply an agreed proportion of any profits of the Association in furthering the objects of the Association. Martyn is responsible for technical guidance, grade ratification, Instructor training, administration, chairing General & Annual General Meetings, and representing the Association at Governing Body events seminars. 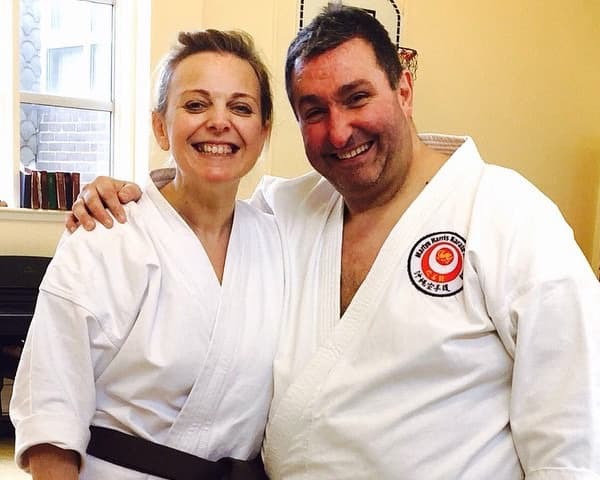 Emma is responsible for networking, recruitment of members, raising awareness of the benefits of martial arts, research & development, instructor training (in respect of teaching of young children).